Do you ever wonder about wood graining when thinking about decorating a room in your home or office? What is wood graining? Where did it come from? Who uses it, and why? Discover the significances of faux wood graining and decide if it were something you would like to do in your decorating schemes. Faux wood graining also called by French artists "faux bois" is another facet of modern art. It has been around since the 19th century, used by people in hard times to replicate wood when they couldn't afford real wood. The meaning of faux bois is the imitation of a natural wood, the meaning is fake wood. In the 19th century artists applied cement, mortar and cement paste to metal to the area to design and imitate wood graining. Artist studied wood types and would carve or sculpt the wood grain onto a metal door or steel window frames using the applied mixture to achieve a real look and feel of wood. 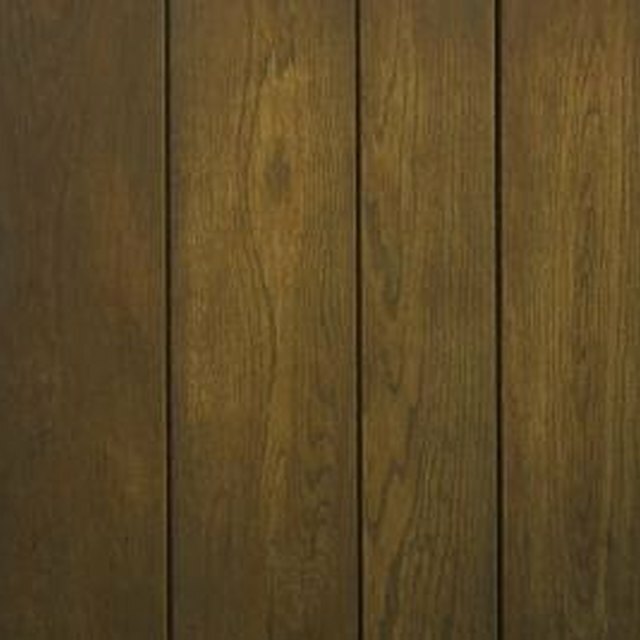 Faux wood graining as a painting technique can give the appearance of wood. The application techniques have changed considerable over the centuries. People still apply wood graining paint techniques for the same reasons as they did in the 19th century--expensive cost. Yet the way it is applied has became easier and available for anyone to apply. Faux wood graining is to complete an architect element. Types of wood are limitless. Artist can replicate any wood desired with a faux wood graining application. A door a wall or a ceiling can be painted to look like wood. The color of wood and the grain size and distinction are the qualities that sets aside different types of wood. Wood that is hard to find and considered to be extinct can be replicated with faux wood graining. Different wood has different looks such as oak or cherry wood. The artist can achieve the look of any type of wood based on a study of the wood and then applying the base color and grain size and pattern to complete the effect. Having wood grain hand painted can be convincing to the eye as the original wood graining on a design element. Benefits to having a faux wood graining painted is the ability to obtain a duplication of the many types of wood that may be extinct or to repair a wood table that may have been damaged. Wood faux graining can be used to disguise a plug in a wood pattern making a wood project appear seamless. An artist who specialized in faux wood graining can paint a wall or door for a fraction of the costs of installing real wood. The distinct part of faux wood graining that makes the decorating concept something of the future is the costs and the ability to match the wood types. As wood prices soar, faux wood graining can offset the costs in a design scheme and allow the designer or home owner the option to have a great decor. Kim Ketring is a cancer survivor. She has been writing and providing illustrations since 1991, when she worked for a local publisher. On the Internet she writes primarily for own website and for Associated Content. Women all affected and propelled her to transpire her own skills of design and writing. How to Find Out What Wood My Furniture Is Made Of?